NFL-Giving Up Tax-exempt | TaxConnections is a where to find leading tax experts and tax resources worldwide. With all the distractions of deflated footballs, player misconduct and the safety of the game, the NFL is volunteering to give up its tax-exempt status. The National Football League (“NFL”) which you figure makes millions in revenue every year is recognized by the IRS as a tax-exempt entity and does not pay income taxes as any for-profit-company would. Section 501(c)(6) of the Internal Revenue Code provides for the exemption from tax entities which are not organized for profit and no part of the net earnings of which inures to the benefit of any private shareholder or individual. It’s obviously notable that only professional football leagues are included here, as opposed to all sporting leagues. It seems inconceivable that the NFL is not “engaging in a regular business of a kind ordinarily carried on for profit”. How are their efforts to maximize profits any different than those of Major League Baseball, the National Basketball Association or the National Hockey League? Well professional football leagues were not always included in this list. This change dates back to 1966, when the tax code was amended to give a professional football league tax-exempt status in order to facilitate the merger of the NFL and the old American Football League. Now keep in mind that even though the NFL has been granted tax-exempt 501(c)(6) status, the 32 teams inside the league are subject to taxes as for-profit businesses. In order to have a tax-exempt status, the NFL must be run as a charitable foundation. In 2012, they gave away a meager $2.3 million. Almost all of it–$2.1 million– went to the NFL Hall of Fame. Oh by the way, last time I checked the price of Adult admission to the Hall of Fame was $24.00 ($17.00 for a child). The average admission price (including free admission museums) for all museums in the United States is $8.00. In 2012, NFL commissioner Roger Goodell was paid $29.5 million to run the organization. More crazy: Goodell’s salary is 1/10th of what the NFL claimed in total assets for 2012– $255 million. Even crazier: Goodell made 15 times what the NFL donated to other charities. Extremely crazier: the NFL only made charitable donations equaling one-one hundredth of their annual income. 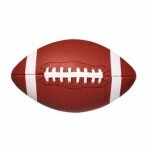 The NFL’s most recent Form 990 filed with the IRS ended on March 31, 2012. They claimed revenue of $255 million, up from $240 million in 2011. So, if you were concerned, things are good. The NFL has assets of over $822 million. Under “grants”– meaning donations to other non profit organizations, the NFL did increase the number from just over $900,000 to $2.3 million. Generous right? However: their total salaries increased by $27 million to a total of over $107 million. Here’s the best part: after all that, thanks to creative thinking, the NFL claims it finished the year in the red with negative $316 million. What else did they spend money on? Well, for one thing, new office construction cost $36 million. Just to put all this in perspective: going by numbers in Forbes, Goodell would come in at around number 28 of the highest paid CEOs in 2012. He made more than the heads of FedEx, AT&T, Heinz, Ford Motors, Goldman Sachs, as well as Rupert Murdoch. Going back to whether the NFL should get to keep its tax-exempt status, the important thing here is that WE THE PEOPLE through our politicians in Washington D.C. granted the NFL this tax exemption, even if it was decades ago. This is no different that us granting the NFL’s anti-trust exemption for negotiating television broadcast contracts. As a result, should that exemption be revoked if the NFL blacks out its fans, forces fans to pay for personal seat licenses, extorts public money from municipalities by threatening to move teams, etc.? Up until now the NFL may technically be a “nonprofit,” but is it really acting in the public interest? A “Tax Hail Mary Pass” Doomed To Fall Short Is Now A Game Ending Completion. Citing this issue as a “distraction”, NFL Commissioner Roger Goodell said in statement on April 28, 2015 that the league is giving up its status as a tax-exempt organization. In a statement sent out to the NFL’s 32 team owners and Representatives Paul Ryan (R-Wisc.) and Sander Levin (D-Mich.) of the House Ways and Means Committee, Goodell outlined the voluntary move, saying it would not make a “material difference to our business”. Note that he now refers to the NFL as a business. The move, first reported by the Sports Business Journal, would allow the NFL to no longer be forced to disclose compensation figures for its top officials, including Goodell. Note that now he can make even more money without worrying about disclosing it. Robert McNair, chairman of the NFL’s finance committee and owner of the Houston Texans, released a statement regarding the decision stating that “the income generated by football has always been earned by the 32 clubs and taxable there. This is the case whether the league office is tax exempt or taxable. The owners have decided to eliminate the distraction associated with misunderstanding of the league office’s status, so the league office will in the future file returns as a taxable entity”. So now there is no confusion, starting with the 2015 tax year the NFL will file income tax returns as for-profit-corporation and as a privately-held corporation its executives need not disclose their compensation, the business’ revenues or any other financial information to the public. It should be noted that major league baseball and basketball surrendered their tax-exempt status long ago. The only other two major sports organizations that have similar tax-exempt status are the National Hockey League and the Professional Golfers Association. It’s just a matter of time before this issue becomes a distraction to them too.